There are some pretty big, pretty cool changes happening for the upcoming 2018 Buick Regal. This mid-size sedan has received a complete makeover. The standard four-door Regal sedan says goodbye, as it’s replaced by a sportier, hatch-styled Regal Sportback and a crossover wagon Regal TourX. Standing hand-in-hand with the Buick Sportback is the 2018 Buick Regal GS, which makes its world debut this year. It’s a sleek, impressively advanced sport sedan that’s made to combine the best in modern utility and thrilling performance. It’s ok to take the 2018 Buick Regal GS on your daily commute, but it’s also ok to have a little fun with it, too. 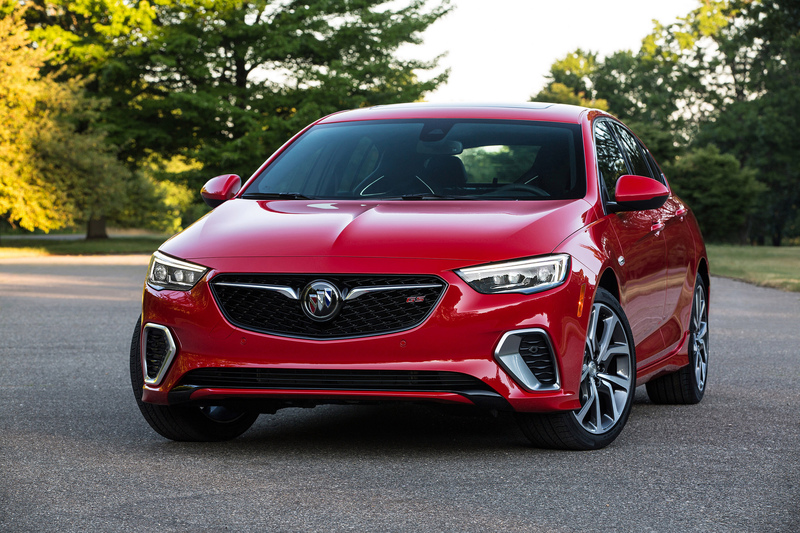 The 2018 Buick Regal GS features a new V6 engine that produces 310 horsepower and gets paired with a nine-speed transmission and intelligent all-wheel drive. Its sleek, aerodynamic five-door silhouette is as useful as it is stylish. The attractive appearance is enhanced with details like standard 19-inch wheels and a rear spoiler. Standard Brembo brakes round out a powerful performance with extra responsive handling. The 2018 Buick Regal Sportback and GS will arrive at dealerships like Bradshaw Automotive late this year. Be sure to check in and take this high-performance Buick out for an unforgettable test drive once it arrives out on our lot.